D: Could you reel off those mediums? P: I love photography so that’s probably one of my main areas that I share my life with others, although I’m pretty awful at Instagram for some reason. Then I try and write words to accompany the images on my blog. I also have a YouTube channel but it’s been pretty quiet on there for a few months. I am determined to start it up again sometime though. D: Yeah get on it! I’m determined to get back into YouTube but it’s just finding the time isn’t it?! P: Oh it definitely is. Video is so much more time consuming to do. D: Could you tell me a bit about the man behind the platforms? 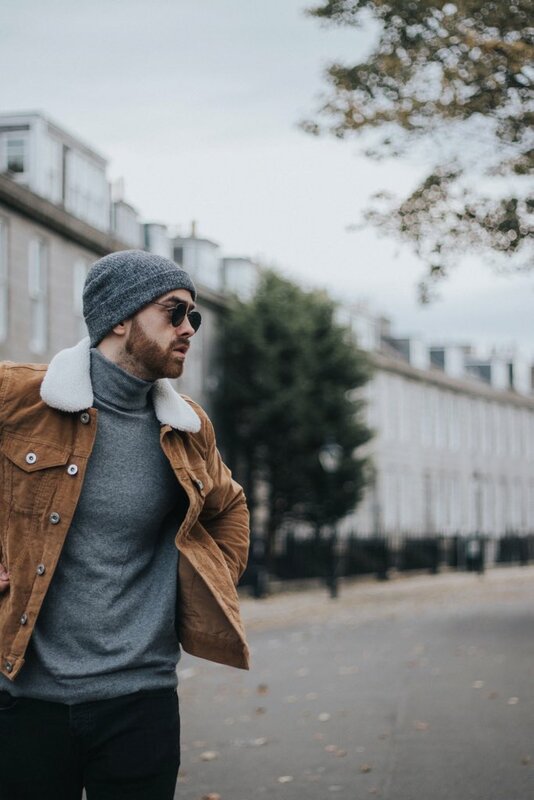 P: I’m a 30-year-old guy that lives up in the north east of Scotland with my other half (also a blogger) and I wanted to try and connect with others who are passionate about the same things as I am. That’s effectively how my blog came about and it allows me to spend my doing those things and having something to show for it at the end and look back on in future. D: Nice little origin story, were there any bloggers you read before starting out? P: To be honest, not really. I was aware of one or two, but the majority I knew of were female bloggers. I used to read mostly fitness blogs before I started my own. D: You’ve nestled yourself nicely in the community since. P: Thanks, I’ve found the community to be very friendly and I’ve found my content to have been received pretty well. D: Which bloggers/creators are you a fan of now? P: Most definitely from others. When I see others really pushing boundaries it inspires me to push mine. It can also be my downfall too. There are times that my current abilities don’t live up to what my visions are or what’s in my head and it does get me down, but I remind myself that it’s always a learning process and to just keep trying and learning. D: Is that one of the parts you find hardest? Making your visions become reality? P: Oh yeah, without a doubt, but I think that’s what helps you grow. At least for me, I’ll keep trying until I get to the point where I can create what I really want to. D: You definitely will do! Are there any posts of yours or moments that standout to you? P: I’d say that when I first had a brand reach out to work with me was one of the biggest moments so far. It’s just been a ride since then. Working with companies that I’ve loved for years has been utterly mind-blowing and a huge privilege. Also being featured in a print magazine when I was chosen for the In the Spotlight section of Blogosphere last year. I have something that I can look back on in years to come and feel proud to have achieved. D: Those are all very great accomplishments, the start of many! What do you have planned next? P: If I’m honest, I don’t really know. I’m just taking each day as it comes and if I have something I want to write about and share then I’ll try and get something done but I don’t want to put too much pressure on myself as that’s when all motivation drops. I’d love to start my YouTube channel back up again, enjoy taking photos and just be passionate about it all. Oh and maybe attend a blogger event. It would be great to meet others that I’ve met online through blogging. D: That’s a very healthy outlook on it all! P: My Hogwarts house is Hufflepuff. D: Have you got a favourite film of all time? P: It would either have to be Ghostbusters or Shooter. D: Finally a favourite musician/band/artist of all time? P: I think it has to be Fightstar. Charlie Simpson can do no wrong in my eyes. Big thanks to Peter for joining us today. Catch him on Twitter, Instagram, YouTube and of course on his blog.